You must agree to comply with these policies to use our Public Access Computers. 1. The use of another patron's library card number or unauthorized use of a guest pass will not be tolerated and will result in suspension of computer privileges. 2. Viewing of sexually explicit or other offensive websites is not permitted in the library. 3. 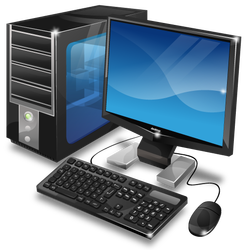 Patrons who abuse or misuse library computer equipment may be barred from further use of library computers. The patron will be billed for replacement or repair costs for damaged equipment. 4. Patrons may not use their own software on library computers. Library computer equipment may not be changed, disconnected, nor rearranged by patrons, nor may patrons attach additional equipment to library computers. 5. Disruptive patrons will be suspended from using library computers and may be asked to leave the library. 6. Adults accompanied by children 10 years old and younger may not use the computers unless their children are supervised at all times. 7. School-aged children and teens will not be allowed to use computers during school hours unless accompanied by an educational instructor or a home school instructor. 8. No more than two people may use a computer at any one time. 9. Patrons must relinquish their computer to library staff upon request. 10. Patrons may not copy nor download copyrighted software, music, video, nor any other copyrighted materials on library computers. Nor may they participate in file-sharing of copyrighted materials on library computers.